The seventh largest and second most populous municipality in Bergen County, Teaneck has a unique blend of cultures, languages, and ethnicity's. 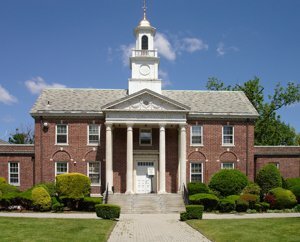 Originally inhabited by Hackensack Indians, it was settled by Dutch Colonists in the 1600's and incorporated as the township in 1895. It claims some of the oldest homes in America and gained national notoriety in the 1960's when it became the first community in the country to vote for integrated schools. From stately Tudors to traditional Colonials to charming Cape Cods, Teaneck homes reflect the town's affluent Northern New Jersey setting. Be the first to know of new listings to the Teaneck real estate market. Simply sign up for free email updates and you'll receive instant alerts as soon as new homes that meet your criteria come on the market. You'll also be notified of price changes for any homes you've already viewed. Listing courtesy of Links Residential. Listing courtesy of Wein Agency Realtors. Listing courtesy of Russo Real Estate. Listing courtesy of Exit Realty of Tenafly. Listing courtesy of Weichert Realtors, Clifton. Listing courtesy of RE/MAX Villa Realtors-North Bergen. Listing courtesy of Century 21 Allstars 100. Listing courtesy of Faber Realtors. Listing courtesy of Apna Ghar Realty, LLC. Listing courtesy of Cornerstone Partners. Listing courtesy of Realtyline - Teaneck. Listing courtesy of Safeway Realty Group. Listing courtesy of McDonald Integrity. Listing courtesy of Keller Williams Team Realty. Listing courtesy of Synergy Realty Group. Listing courtesy of Good Neighbor Realty LLC. Short sale. price is subject to 3rd party authorization. Raised ranch in need of TLC. 4 bdrms, 2bths on oversized lot. Hurry this one wont last! Listing courtesy of Cooperative Preferred Realty. Property sold as is. Excellent for builders, contractors and first time home buyers. 203k offers welcome. Close to route 4, GWB, etc. Listing courtesy of United Global Properties. Listing courtesy of Reggo & Kelemen Real Estate. Property needs work, being sold "as is" condition. Subject to Bank Approval. Listing courtesy of Footprints Realty. Totally renovated 2 bedroom apartment. only a few steps from the ground entrance. 2018 kitchen, bath, floors, a/c, paint, moldings. Maintenance includes 1 parking spot. Listing courtesy of Giaccio Signature Properties, LLC. Listing courtesy of Plawker Real Estate, Inc.. Listing courtesy of Top Realty. Location Location! Convenient transportation! Warehouse with Office,1 full bath,sink and loft.On busy street. Great exposure!! !